Head Start Collaboration Office in each state facilitates and enhances coordination and collaboration among Head Start and Early Head Start agencies and other state and local entities to carry out activities designed to benefit low-income children from birth to school entry and their families, as well as pregnant women. 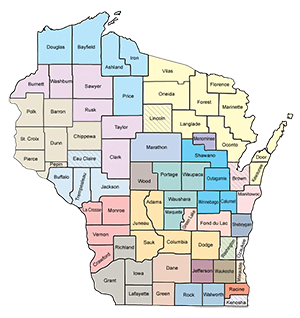 Head Start T&TA System working with Wisconsin grantees is administered through STGi International and provides training and technical assistance to RegionV Head Start and Early Head Start Grantees. Many training events are co-hosted with WHSA such as Practiced Based Coaching, Class Observation Training, and the New Director Series. In Wisconsin the Department of Public Instruction holds the contract for the Head Start Collaboration Office. Promoting better linkages between Head Start agencies and other child and family agencies, including agencies that provide health, mental health, or family services, or other child or family supportive services, such as services provided under section 619 or part C of the Individuals with Disabilities Education Act. Child Care Services – Including making full-working day and full calendar year services available to children and families. Health Care Services – Including mental health. Welfare – Including child protective services, services for children in foster care, and children referred to Head Start by child welfare agencies. Services Relating to Children with Disabilities. Community Service Activities – Including the promotion of partnerships between Head Start agencies, schools, law enforcement, relevant community-based organizations, and substance and mental health treatment agencies to strengthen family and community environments; and, to reduce the impact on child development of substance abuse, child abuse, domestic violence, and other high risk behaviors that compromise health development. Services to Children who are Homeless. Education – Including reading readiness programs, programs offered by public and school libraries, services offered by museums, early childhood education and development for children with limited English proficiency, partnerships to promote the inclusion of more books in Head Start classrooms, and professional development. The revamped System, implemented in fall 2010, includes 1) new contracts and priorities for State, ACF Regional State Consortium, and American Indian/Alaska Native or Migrant/Seasonal T&TA Centers, 2) six National Centers to provide grantees with consistent information from OHS across all service areas, 3) ten Centers of Excellence which will share information about their best practices, successful approaches and high-quality service models with early childhood programs, and 4) a pilot program for Early Learning Mentoring Coaches, and 5) continued direct funding to grantees. An OHS Overview of the Redesigned Training and Technical Assistance System provides additional details about the System components. Provide direct technical assistance to grantees with deficiencies, areas of noncompliance, and risks. Improve the school readiness of Head Start children. Support the training and career development needs of Head Start staff. Be involved in collaboration with governmental agencies and other early childhood providers. Each of these T&TA Centers has at least one Early Childhood Education Specialist to provide T&TA that “positively impacts the development and educational outcomes for children birth to five” and addresses both the school readiness and staff training/career development OHS priority areas. Additionally, each ACF region (excluding regions 11 and 12 serving American Indian/Alaska Native or Migrant/Seasonal programs) has at least one Grantee Specialist. The Grantee Specialist(s) address the third OHS priority area—deficiencies identified through its monitoring system—and, as appropriate, grantee noncompliance and risk management. Finally, each region has one T&TA Coordinator/Grantee Specialist to work with the ACF Regional Office staff to coordinate the work of that region’s T&TA Center(s). All T&TA Center staff must have an established relationship with the early education community in the state in which they are providing services. The names of the awardees and a brief description of activities for four of the National Centers (those on: Quality Teaching and Learning, Cultural Linguistic and Responsiveness, Program Management and Fiscal Operations, and Parent, Family, and Community Engagement) are available on the HHS National Centers announcement. The Early Head Start National Resource Center is housed at ZERO TO THREE: The National Center for Infants, Toddlers, and Families. Funds appropriated in 2009 for the Centers of Excellence program established in the Head Start Act of 2007 have been granted to ten organizations across the country designated as Centers of Excellence in Early Childhood. The centers were nominated by their state’s Governor and individual center projects have been funded for up to five years. All Centers of Excellence will disseminate best practices to Head Start, Early Head Start, and other early childhood programs. The ten grantees’ names, locations, and a brief description of their activities is included in the HHS Centers of Excellence in Early Childhood announcement. Training & Technical Assistance (T&TA) for Wisconsin’s American Indian/Alaska Native (Region 11) and Migrant/Seasonal (Region 12) Head Start programs is provided under separate contracts than that for the WI T&TA Center which serves programs as part of a six state Region 5 consortium contract under STG International, Inc. Although under separate contracts, the state, AI/AN, and Migrant/Seasonal Head Start T&TA Centers share the same roles and responsibilities and all function to provide grantees with “high-quality, sustained, and intensive training and technical assistance . . . to improve the capacity of local programs to deliver services that meet or exceed the standards” as described in the HS Act of 2007, including the following priority areas: school readiness, the training/career development needs of staff, and the correction of deficiencies. ICF International, Inc. is the T&TA contractor for all AI/AN Head Start programs and Paltech, Inc. is the T&TA contractor for all Migrant/Seasonal Head Start programs. Contact information for the individuals providing local T&TA for Wisconsin’s Tribal and Migrant/Seasonal programs follows.